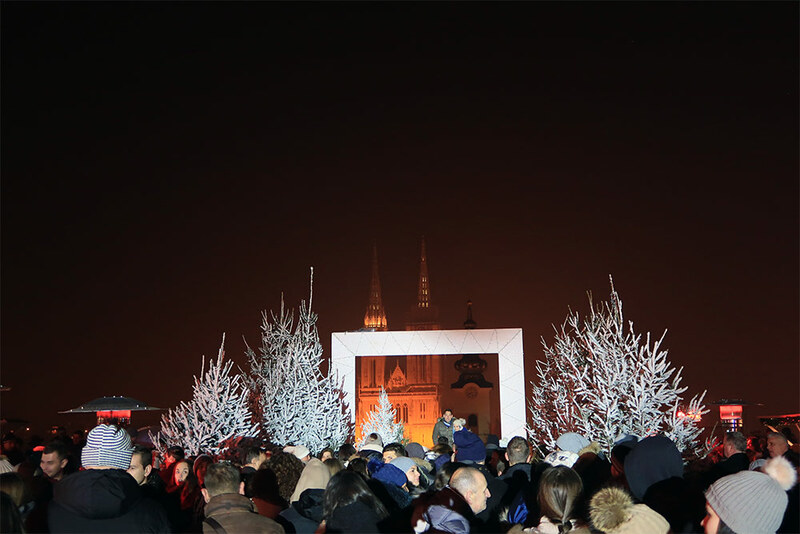 Zagreb Advent festivities are heating up the city. 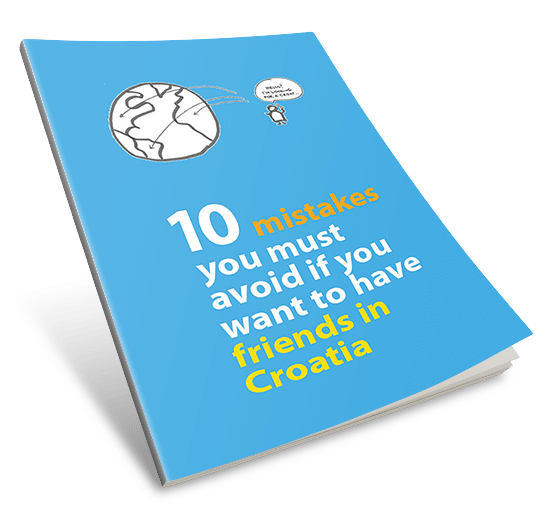 Crawl the top locations, like Zrinjevac, Europe Square or Tomićeva Street and you’ll get a feeling everybody is out and about fizzing with joy. The prime time between 6-9 PM buzzes with such electrified cheer that we don’t even need xenon lights to glow in the dark. It’s a bit of a pride thing too. 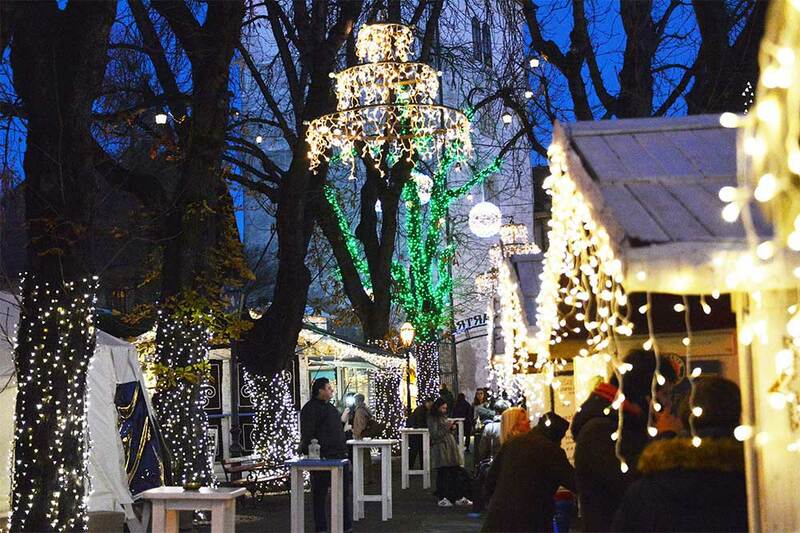 Because this year Zagreb successfully defended the European Best Christmas Destination title. And we took the challenge seriously. 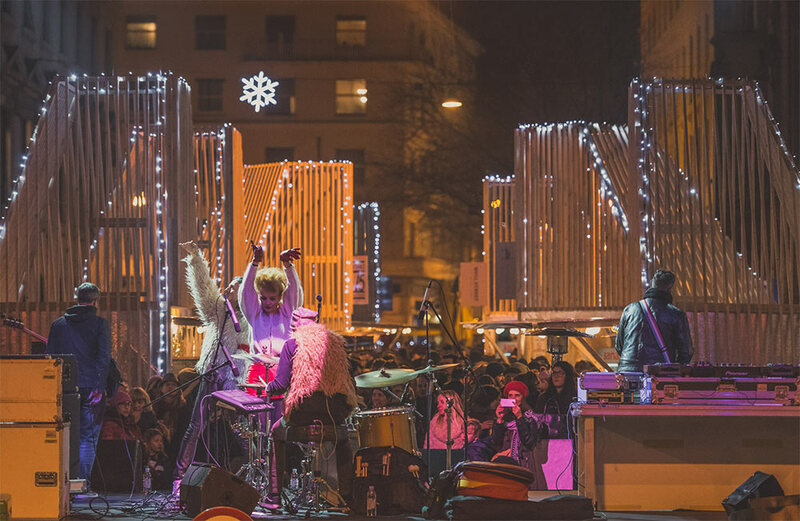 We have gone all out with hundreds of events listings that merge into a fabulous across-the-city festival. Everything is as spiced up as the omnipresent steaming mulled wine. If you’ve been to Zagreb last year and you think you’ve seen it all—I invite you to come again. With the antes now up, there’s so much more to choose from. And the best thing is that the Advent locations have spread to the magical Upper Town, hip Martićeva Street and even across the Sava River. Last year my goal was to include most Advent events. But this year the festivities are so abundant that I am changing my tactics—I must be exclusive. 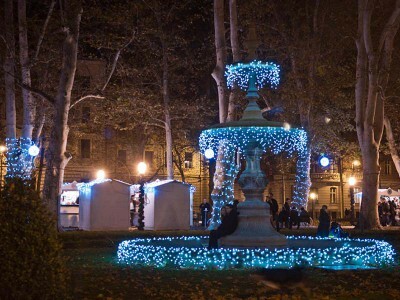 The lauded must-see spots, such as Zrinjevac or the Ice Park on the Tomislav Square will draw you in with their splendour any way. So I’ll dive straight into the hidden gems. The new openings and the still intimate nooks where Christmas spirit gleams with a new and unusual flame. Hardly anyone can resist the mystic charms of the Zagreb’s oldest quarter—The Upper Town. Its winding narrow alleyways, lit by the nostalgic shimmer of gas lamps have a way of casting a special kind of spell. Maybe because they are so tranquil, almost empty of people, that serene and eerie blend together in a singular mood. But this year, Advent festivities have migrated uphill and the Upper Town is deserted no more. Its enigmatic flair is still there so you can easily find yourself in a cobbled street, alone with the echo of your steps. But if you know where Advent fun is, you’ll discover a deliciously intimate Christmas scenery. 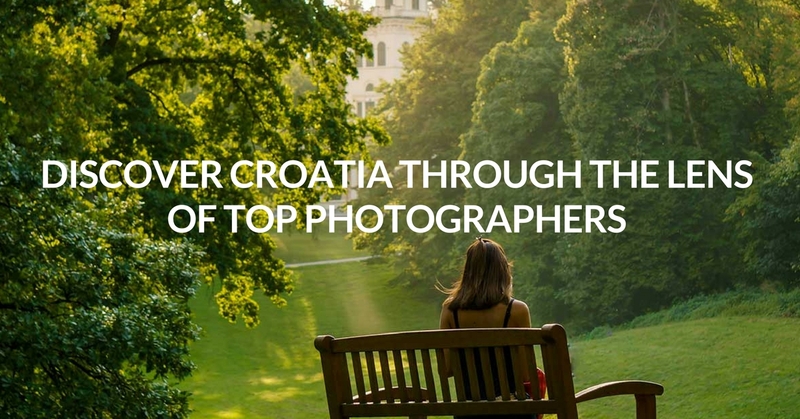 Zagreb’s most romantic promenade has already become a hot spot in the summer. Fondly called Strossmartre, this chestnut-lined stretch is a popular artsy destination during warm summer nights. Now, in its winter edition, the sparkle is back. Eight wooden huts serve a great choice of Christmasy food and drinks, including a range of excellent craft beer. There is even a fun way to hide from the winter chill. Just sneak inside one of three heated domes and pretend you’re in a yurt. The tiny intricate lights adorning the trees do look like a desert starry sky! 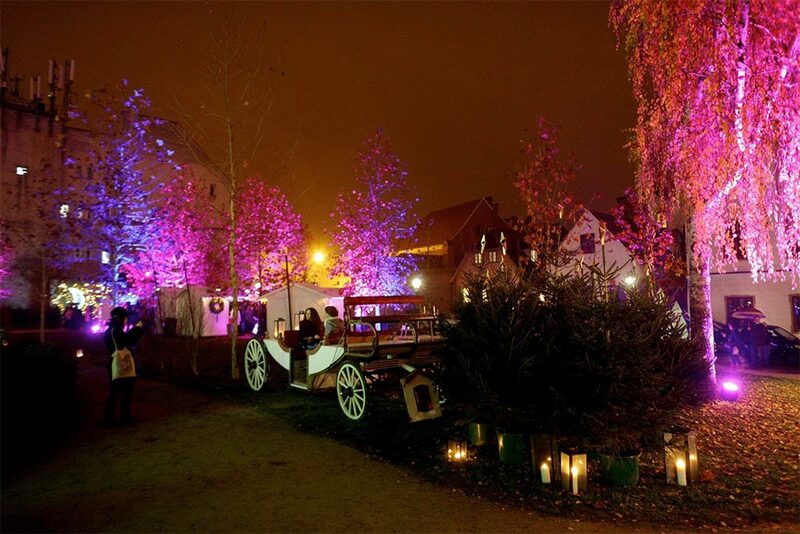 The small historic common close to the Lotrščak Tower beams with a purple flicker. You’ll recognize it by a grove of lit up trees that now appear like a fairytale scene. And fairytales do live here—every weekend (11 AM- 1 PM) the young ones can bunch up and hear a storyteller perform from the famous Croatian Tales of Long Ago. Evenings are in a jazzy tone. DJs and live performers will tempt you to sway to their groovy beats. And without too much crowd, there is enough space to dance away and keep the upbeat ambiance going. Klovićevi Dvori has a spectacular open-air stage known as Gradec Plateau. 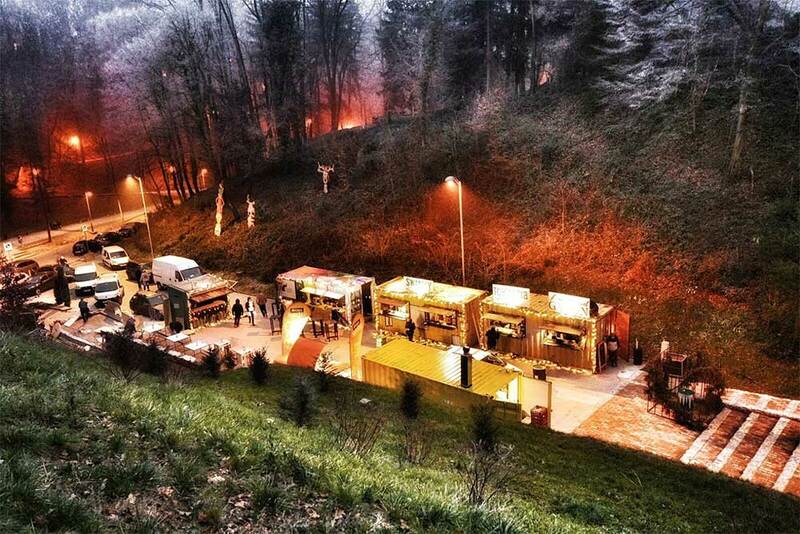 The spot itself is one of Zagreb’s highlights. With the most amazing view to the Zagreb Cathedral and home to Etien’s two fab street murals, you won’t regret seeing it in its winter splendour. This might be the best photo opportunity too. The snowy frame is set to catch the Cathedral in the background but you’ll have to wait for your turn. This is the busiest Upper Town location where the young crowds flock to hear popular pop and rock bands play live. 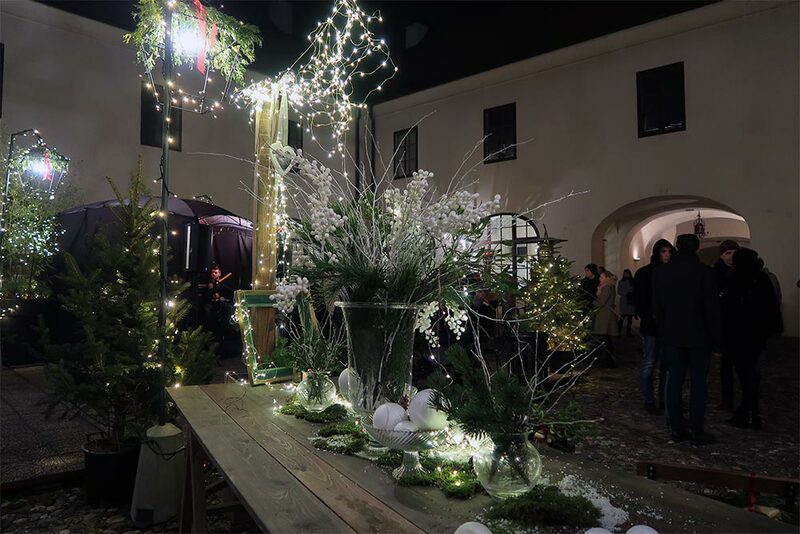 For a more peaceful ambiance, duck inside the grand Klovićevi Dvori courtyard and treat your kids to a session of ice skating. The mega popular Ice Park on the Tomislav Square is, of course, bigger. But size is not everything and this hidden ice rink is perfect for a cozy family outing. Hidden courtyards of Upper Town Baroque villas first opened to visitors a few years ago. The summer festival ‘Dvorišta’ [Courtyards] has been a massive success. 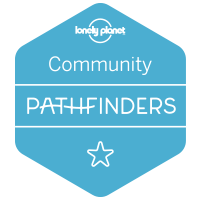 The locals especially took to those hush-hush places that have always been around the corner but never easily accessible. Now with the program of live events spiced up with food and drinks, their wonderful romantic interiors have come alive again. The Advent edition of Courtyards throws up the same kind of fun in a mellow, almost poetic, ambiance. Look for 5 courtyards among the Upper Town meandering streets. The best time to visit is around 7-8 PM when live music program gets going. My favourite courtyard is inside the Palace Balbi in Demetrova 11. 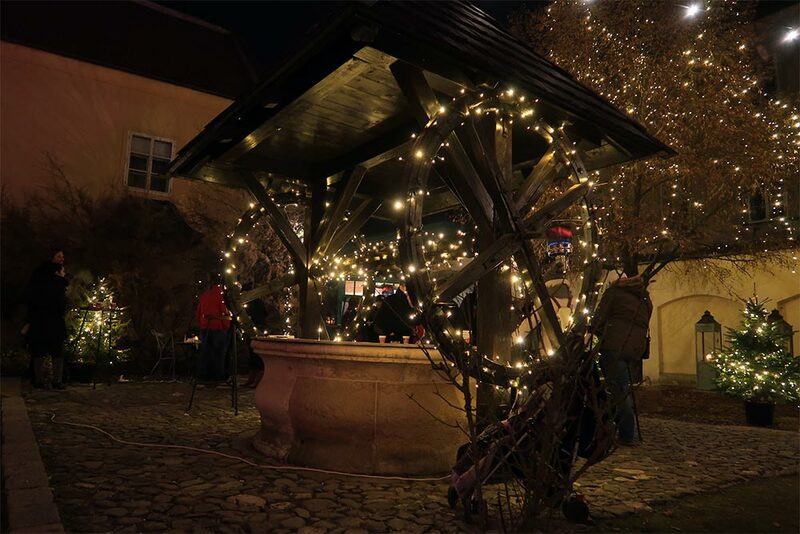 It’s home of the Old Church Slavonic Institute and its centrepiece is a gorgeous old well—the only remaining one in the Upper Town. It used to be a dark World War II air-shelter, but now the Grič Tunnel lights up with state-of-the-art Christmas dazzle. 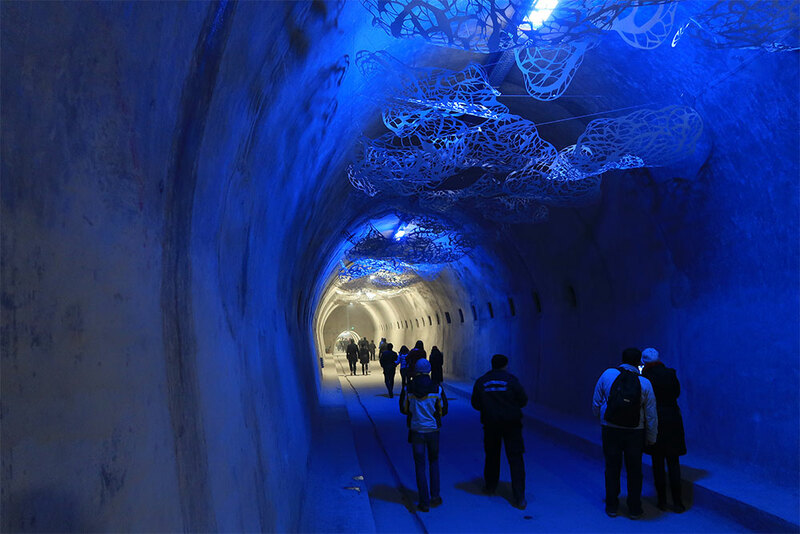 It’s still secretive and underground, but the 3D installations and music reverberating with awesome acoustics, make the Tunnel a place extraordinaire. Multimedia gadgets will make deep silver forests and icy lakes as real as they come. And from 16-24 December (3-9 PM), you can also marvel at live music performances, including choirs and soloists. Inconspicuous on the outside, the Oktogon Passage reveals its full glory as you walk through it from the Flower Square to Ilica Street. Soft yellow facade ornaments connect the mosaic-tiled floor with the stained glass ceilings. When you reach the central spot—the octagon—look up to the glamorous lacy glass dome. This unfairly neglected Zagreb shortcut is often empty. An occasional busker or a lost traveller who is stealing a shot of the dome may be your only company. But not during this Advent. 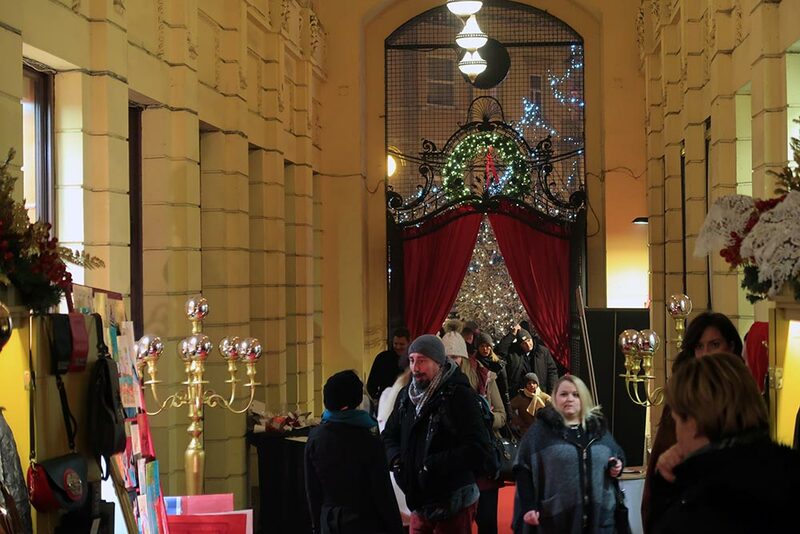 Oktogon has transformed into a hip fashion street lined up with rustic handmade armoires. This is your chance to be en vogue Croatian style and to meet the designers in person. The famed Borovo startas shoes—voted a must-have accessory in the American Vogue—showcase their autumn/winter line. The simple flat shoe in a delicate pastel blue is to die for. If you drop by on Wednesdays, you’ll catch the designers trying their hand at cooking. 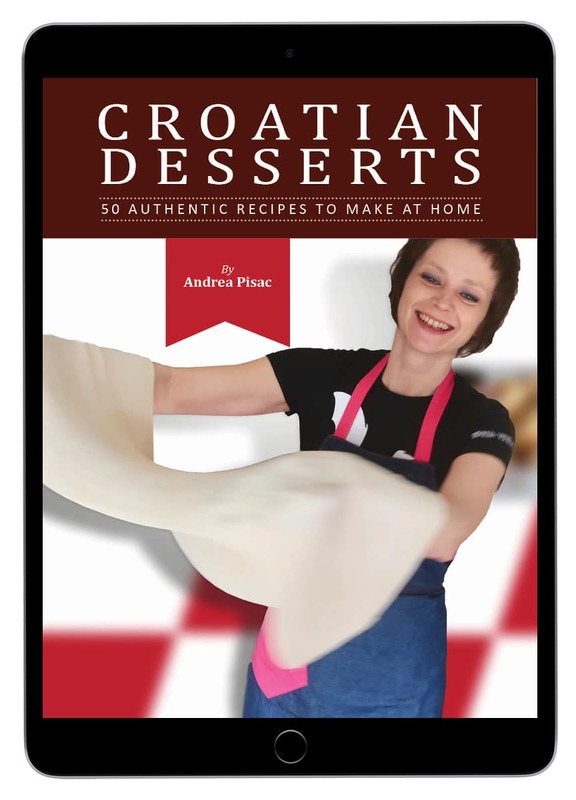 And their gastro master is Croatia’s celebrity chef Mate Janković, who, by the way, also serves best Advent sausages in the nearby Kralj Kobasa eatery. If you’re entering from Bogovićeva street, look out for the beautiful relief of Pluto—a watchdog who guarded the Oktogon construction site. In honour of this great animal, Saturday morning peak time—špica—turns dog-friendly during Advent. The Martićeva Street neighbourhood has become a real artsy mecca, especially since the famed Design District Festival kicked in last June. 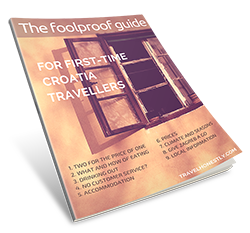 Headed by the visionary team from the Croatian Design Superstore, this local Advent will appeal most to creative types and, as they say, people of impeccable taste. Everything on offer is well thought through and with an artsy touch. Food varies from craziest fusions to traditional hot soups Grandma style. From fancy waffles to hearty cheese štrukli. Pop inside Croatian Design Superstore for daily workshops for children and ‘adults who feel like children’. You can learn all sorts of skills. From the practical healthy juicing and gift wrapping to the purely fun ones, like making good New Year decisions. All of you Christmas grinches—don’t worry, Zagreb Advent thinks of you too. The garden is ‘managed’ by Swanky Monkey Garden, The Garden Brewery, A most unusual garden, Submarine BBQ and Toasterie by Trapula. If you recognize these names, you know what to expect—best craft beer, winter cocktails and gourmet burgers. This urban ‘retreat from the classic Christmas’ will be difficult to find. The stage is actually a summer open-air cinema, snuggly tucked among centenary trees. Your best bet is to hop on an old-timer car when you see it driving through the city centre. Expect great music for grown ups, but bring kids too. There’s plenty of creative workshops, even a kiddy’s New Year’s celebration at noon. 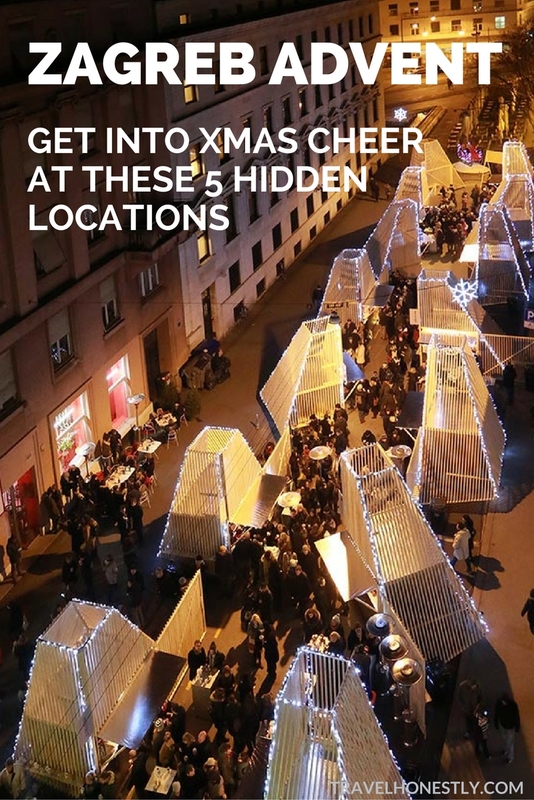 Have you been to any of those Advent events? 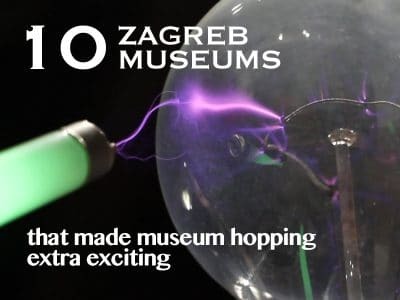 Also, while you’re in Zagreb, don’t miss other amazing things you can do in the city. Use my ultimate guide! 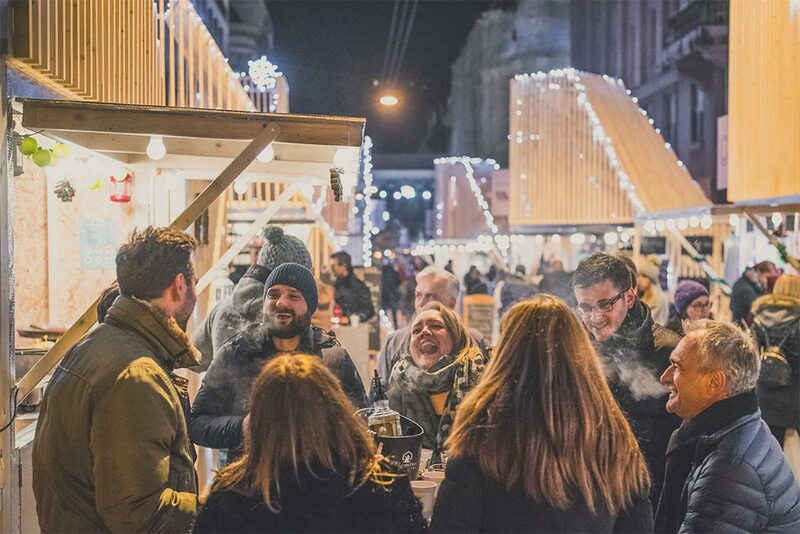 We love Advent in Zagreb, except for one thing, to the intensive smell of sausages, no vegan options! Otherwise, the atmosphere is lovely. Many activities for kids, workshops in Park Maksmir.